It is so nice to be back home! Last week, I had to travel out to Louisiana at the last minute to help my mother coordinate a lot of healthcare issues for my grandmother. It was exhausting, but I’m glad I was able to help move things along a bit. I confess it was also very motivating, in a weird way. My mother’s mother and her brother are both hospitalized with complications of diabetes and high blood pressure that have been drastically worsened by their poor self-care. Right now I am weirdly angry that they are dying and disabled due to treatable, manageable conditions – or what are frequently treatable conditions (I know there are always exceptions). Neither of them ate well, exercised or took their medications. Neither of them got proper medical care. Lots of reasons fed into that lack of care but a big part of it was not believing the seriousness of the conditions or the need for medical treatment. With diabetes and hypertension, you often feel just fine until your disease has progressed to a point where you’re suddenly having end-organ damage and failing. This gene pool is abysmal but it’s mine and it’s a big part of the reason I lost weight and cleaned up my diet in the first place. It’s the reason I looked at the DASH diet guidelines for hypertension again when I finally got home this weekend (here) and the reason I told myself that it didn’t matter how hard it was, I had to pull myself out of this hole of poor food choices. It’s the reason I set my alarm for 5:45 today to head out to run a bit for the first time in ages. I am happy to report that I DID get in my long walk over the weekend. I walked 7.5 miles in the Dallas airport during my long layover Sunday morning. I am less happy to report that as I did that in Crocs, I have a blister. 😦 With a 7 mile walk and a 7.5 mile walk behind me, I feel confident that I can get through a 10K and 5K in Cincinatti for Flying Pig weekend. I’m particularly proud of myself for getting that walk in, even with the very real possibility I’m going to be missing that race weekend for a funeral. It was so tempting to skip the long workout between the fatigue and the lack of proper footwear if there’s a chance it’s all for “nothing” but I suspect that if I’d been just sitting in the airport for hours, I’d have made a lot of bad food and drink choices. Moving helped avoid that. Travel fitness tip: Google your airport name and “healthy” or “fitness” to find ideas for healthy food or exercise options in the airport. 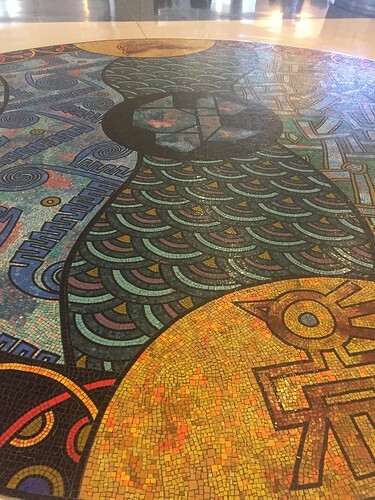 In the DFW airport, there’s a 0.7 mile walking path in terminal D marked by mosaic tiles like the one I took a picture of above. There’s also a yoga space, with mats and yoga videos on the TV! What’s your favorite travel fitness tip? Thanks as always to Tricia and Holly for hosting the wrap up! 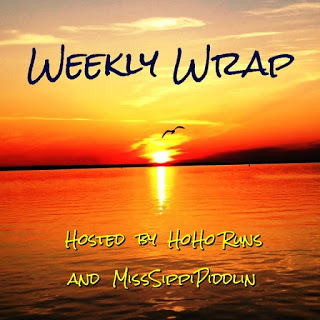 Weekly Wrap-Up: Crazy couple of weeks! Sorry for dropping off of the face of the earth for so long! After going to California for work, I immediately turned around to be on call for a week. I am so grateful this is my last week on call for a few months! It was a doozy. I was at work 12+ hours every day and every day, I’ve more than hit my step goal thanks to all of this literal running around I’m doing! 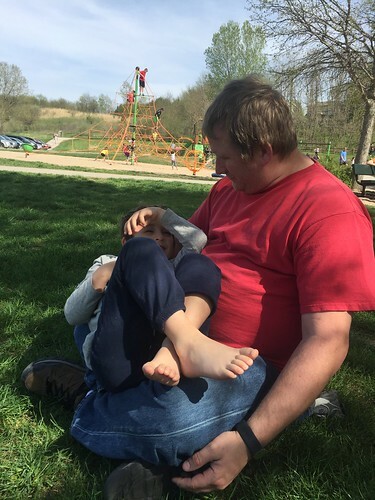 Not only is work crazy, we’ve also had a lot of family health stressors. The three of us are fine, but a dear friend’s father had a massive stroke, so I’ve been spending lots of time checking in with them and visiting the hospital. He’s improving, happily. My assistant’s mother died unexpectedly. I have no idea if I sent flowers to the right funeral. My grandmother and uncle got admitted to the hospital and while both are medically fine, it brought to a head a lot of elder care issues we’ve now got to tackle as a family. They’re both down in Louisiana and refuse to leave their town, but resources are really limited there. And we’re all hours away. Sigh. Now I’m heading down to help my mom sort things out. In the midst of all of this, I’ve had a mix of good and bad days in terms of food. Honestly, exercise has also fallen off the radar other than my PT and all of the walking I’m doing at work. This week, I’m going to get back on track even with the emergency trip to Louisiana. However, it’s time to admit to myself that this is going to be HARD. I know it seems silly, but I don’t remember it being this hard the first time around when I cleaned up my eating and started exercising. I think it was because I was starting from such an unhealthy place, it was easy to see progress with small changes. I also had a calmer life back then – less work, less busy family. I have to admit that it is going to be hard and I’m not just going to “flip a switch” to get back to normal. Baby steps are needed. I downloaded a habit tracking app and am tracking “eat sanely” – which I know is a super unspecific goal. However, at this point I just need to feel like I’m doing better and once I start to string more and more good days together, hopefully I’ll be able to make more specific changes. The Flying Pig race weekend is also upon us. I’m going to try to do my last 8-9 mile walk this weekend, so hopefully I’ll be ready for that day. 🙂 It’ll be hard in Louisiana, but I’ll get as much as I can. After that, I’m going to get back to the Couch to 5K program and start some easy running again. 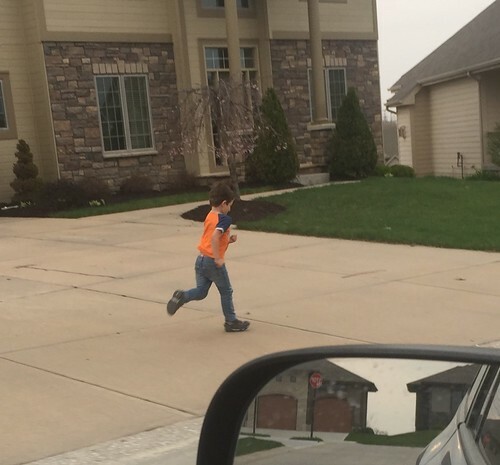 My PT would prefer I avoid long/intense running for the first year after my injury to avoid the impact too much on my healing disc so I will definitely keep it at a slow walk-run. As soon as registration opens, I’ll register for the Road to Omaha 5K they have here each June in conjunction with the College World Series. We all knowing having that race registration is a huge motivator for me! Send me good vibes for travel to Louisiana today and sorting out the care issues for my family! My mom is so relieved I’m coming, so I know it’s the right thing to do, but selfishly, I’m dreading the travel and chaos when I’m already burnt out. 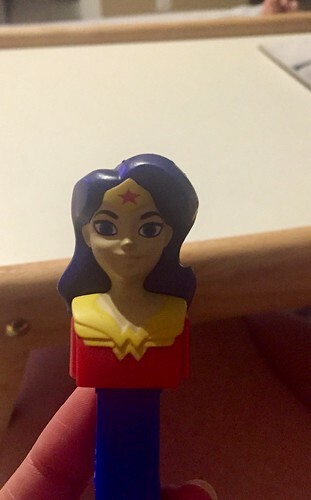 My lovely hubby got me a Wonder Woman Pez for Easter. I wish I’d thought to bring it with me this week! I think I’m going to need her. Anybody else feel like losing weight and getting healthy was harder the second time around? The fact that’s its under something I scribbled out is somehow more appropriate, right? 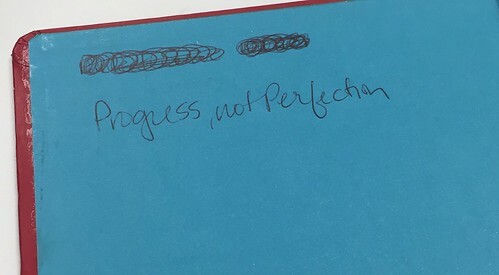 Progress not Perfection is definitely something I need to remind myself of now. Cleared from weekly PT visits – now stretching out to every two weeks. Even better, I did a great job with my daily workouts for my arm and shoulder so I was proud of myself for not letting things slide even though I’m not getting checked as often! 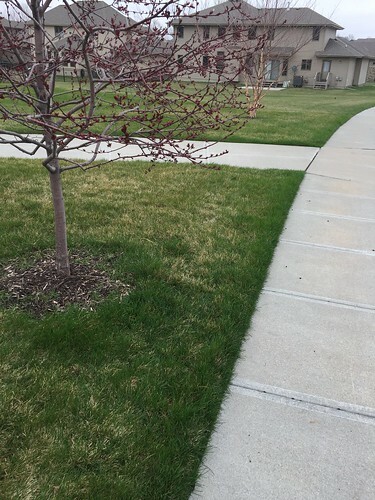 7 mile walk done – Sunday afternoon, I headed out for my walk and maintained around 18 minute pace even though I wasn’t remotely in the mood to push the pace. It’s nice to know that even my “easy” walking pace is a lot faster than it used to be. There’s been some not-so-great in the last couple of days to balance this, I must confess. Saturday evening, we were out late and hungry. Rather than coming home to cook the dinner I’d planned, we found somewhere to eat out. It was prom night, so we tried three places before we found somewhere that wasn’t too busy and the place we ended up with didn’t offer the healthiest choices. I was tired enough that I didn’t care. Sunday morning at 5 am, I was woken up by Oliver who was sick. Again. More vomiting. Sigh. We’d just done the GI thing on Monday. He was well for the rest of the week, until Sunday. I’m not sure it was just the dinner we had Saturday night (a little outside his usual food comfort zone) or if he was sick with another bug. Regardless, it was another day of vomiting and sick boy. His poor tummy hurt quite a bit. Thankfully, he’s better today. Between lack of sleep and worry about him, I just ordered pizza for lunch. However, despite less-than-ideal food choices, there are some wins. I chose a glass of wine with dinner Saturday, not a sugary cocktail, and I savored every drop. I skipped dessert with dinner and at home. I was full and didn’t need more. Recognizing that is a HUGE change. I actually looked at my unopened box of Thin Mints on Sunday and thought “I’ve already screwed up today – might as well eat these.” However, after I got home from my walk, the urge was gone and I had a reasonable dinner. I’m finding it easier to rein things in after “straying” which is good and I’m happy with my progress towards walking a 10K and 5K on the same day next month. Have I had things in tighter control before? Sure – but this is still better than I was doing a month ago. Progress, not perfection. In the name of progress, I think setting concrete goals for this week is key. I’m starting the week tired after being up with Oliver and a couple of nights of poor sleep. I know myself enough to know that leads me to specifically overeating carbs (exhibit a: 3 bran muffins yesterday – small, but still . . .). Add on top of that, travel to Anaheim early Wednesday morning for a four day meeting. Track EVERYTHING – even if I go in the hole, I need to track it and own it. At least ten minutes of dedicated exercise every day. At least one of my physical therapy exercises a day. No mixed drinks in Anaheim and no more than two drinks in any single setting (I tend to drink to network, which leads to less than ideal food choices). No french fries in Anaheim (always the harbringer of travel-food-choice doom!). Start each day with a healthy breakfast (looks reasonable from the room service menu!). Oliver, of course, also has a goal for me in Anaheim: Get him a new Mickey Mouse sweatshirt. 🙂 He’s outgrown the last one I got him from Disneyland. I also promised him I wouldn’t be going into the park. With my injured neck and the high cost of park tickets, that’s not super hard to promise. Question about walking as a workout as opposed to running: Should I approach fueling the same way I do with running (ie something every three miles or so?)? Certainly I don’t feel like I need something every 30-45 minutes like I do when running, but I probably need something over the 9 miles I’m going to cover next month. Any ideas or advice? What’s your mantra to keep your head up during tough weeks?